National Science Foundation and AMD have funded a research over at North Carolina State University where engineers have successfully obtained an average of 21.4 percent more performance through improving the design of an fused processor. 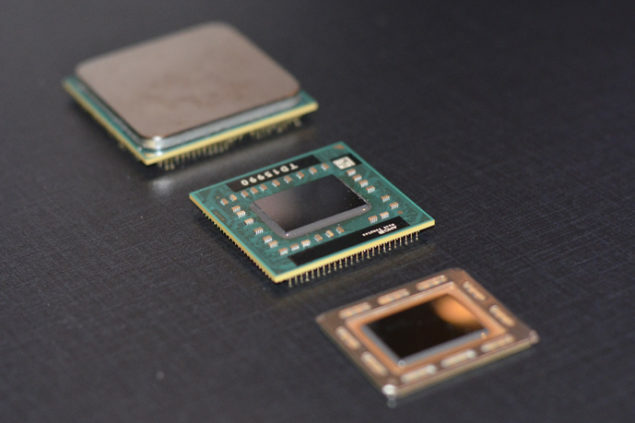 The research was specifically done to improve the performance and efficiency of AMD’s Next Generation Accelerated Processing Units which have a CPU and GPU Core fused on a same die. The research could also prove beneficial to know what kind of performance gain is expected and how much can be improved on a similar architecture such as Intel’s own processors which have a CPU Core and GPU Core on a same chip. Basically, AMD and SCSU have tried to harness the power from the GPU cores on the chip which means the company is aiming towards a GPGPU oriented architecture where the Graphics Processing Unit can perform computations in several applications which are traditionally handled by the CPU. The GPU being used for General Purpose Computing is something many people are expecting from Major Corporations such as Intel and AMD to implement in their future generation processors. “Our approach is to allow the GPU cores to execute computational functions, and have CPU cores pre-fetch the data the GPUs will need from off-chip main memory.This is more efficient because it allows CPUs and GPUs to do what they are good at. GPUs are good at performing computations. CPUs are good at making decisions and flexible data retrieval,” Zhou says. While an average increase of 21.3% is expected from this research, In some cases the gain could be a staggering 113% percent. AMD would most likely implement the GPGPU based computing design in its Full version of the Fusion APU which arrives in 2014 (Xbitlabs).